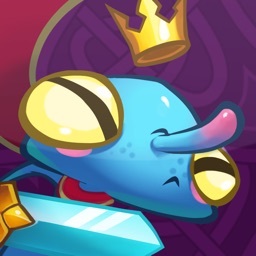 Collect crystals, take out enemies, and enjoy your kingdom in this continuous scrolling adventure. 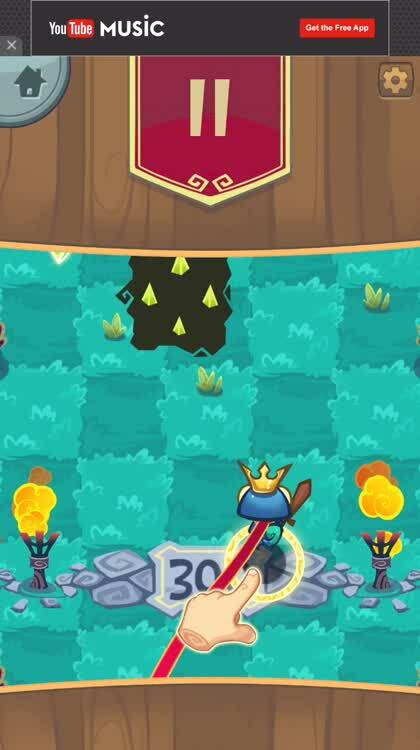 In Road to be King, you just hold down on the screen and move your finger to steer your character. When you lift your finger, the game will automatically pause. Watch out for enemies, but clobber the minions in your way for extra points. 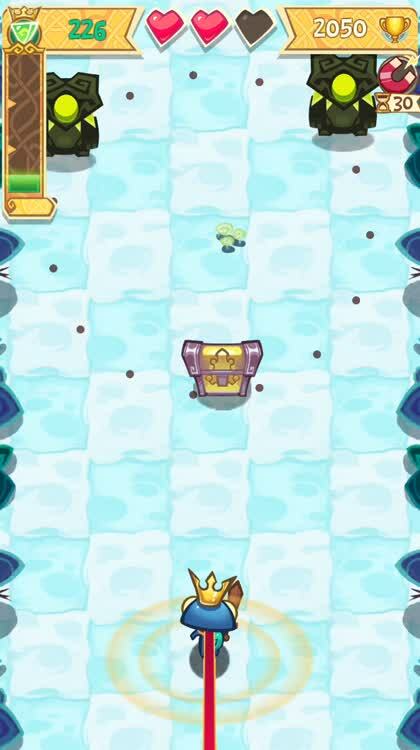 Navigate your way over to valuable crystals, diamonds, and treasure chests. 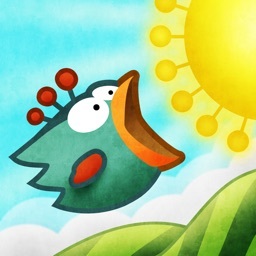 there are 10 items to collect and upgrade along with 30 achievements to shoot for, so walk as far as you can and get the highest score possible. Guide your king. Just hold down on the screen and move your finger to steer your character. When you lift your finger, the game will automatically pause. Watch out for big, bad enemies that will take you down, but be sure to clobber the nasty, little minions in your way for extra points. Pick up crystals and chests. 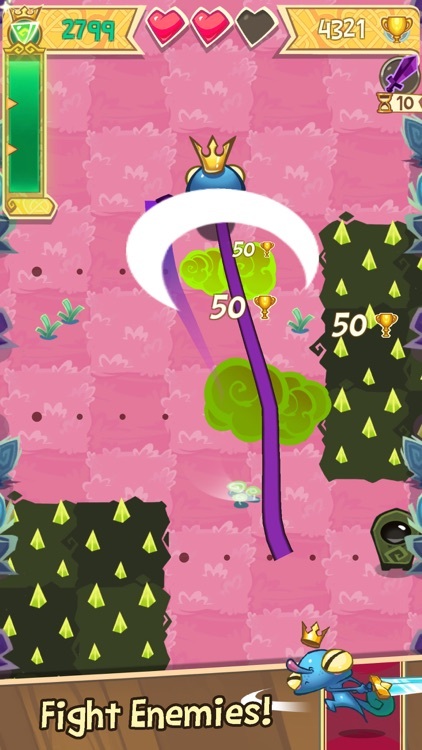 Navigate your way over to valuable crystals, diamonds, and treasure chests. But, be cautious of enemies and spikes that will reduce your health. The screen will continue to scroll upward, so grab as many goodies as you can along your way. Choose your prize. 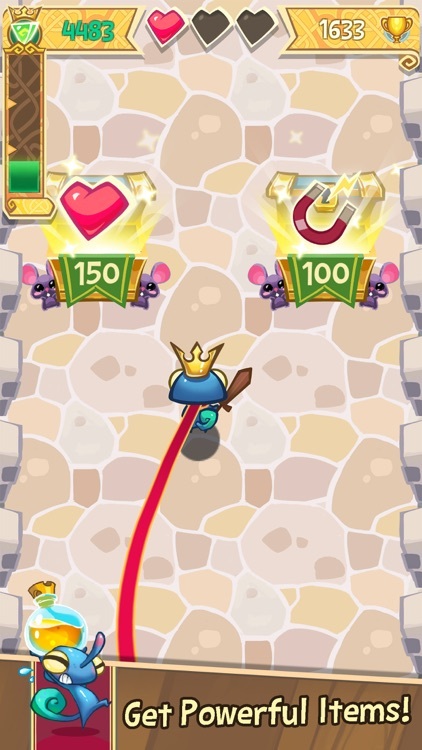 After collecting the treasure chests, you will be able to choose your prize such as a crystal magnet, magic wand, or extra lives. The chests are planted in various spots around your kingdom that may be hard to maneuver to, but the prizes are worth the risk. 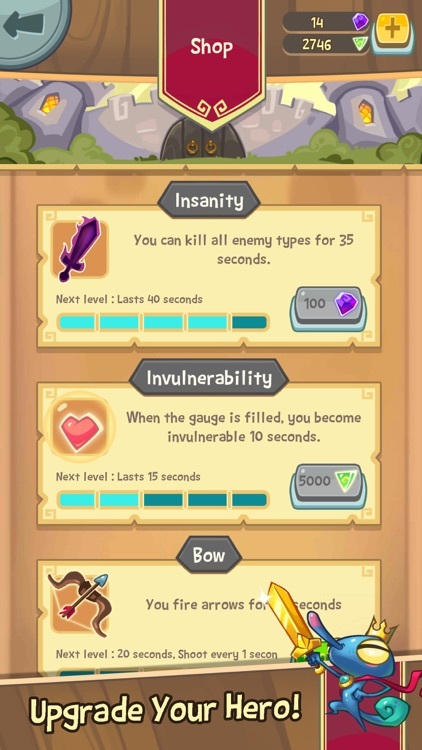 Items and achievements. Obtain helpful items with earned crystals, master the many achievements, and climb your way to the top of the leaderboard. 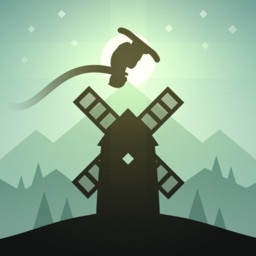 There are 10 items to collect and upgrade along with 30 achievements to shoot for, so walk as far as you can and get the highest score possible. 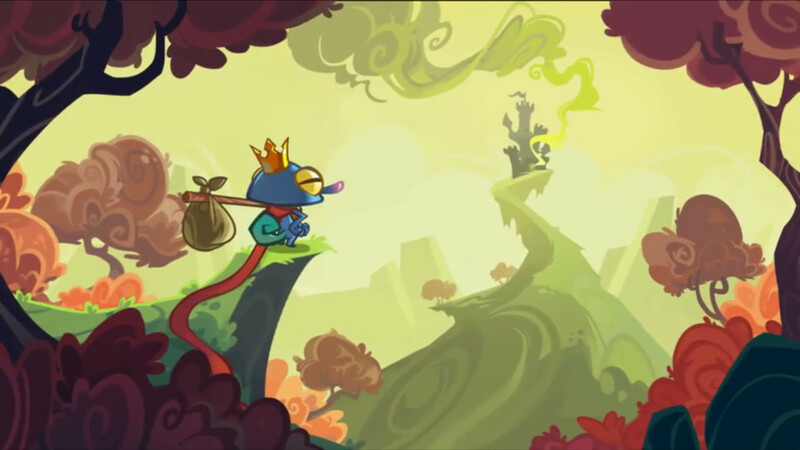 Road to be King is a delightful and engaging adventure. Rather than searching for the pause button when you have to step away, just release your finger and then pick up right where you left off later. The game is different each time you play it. 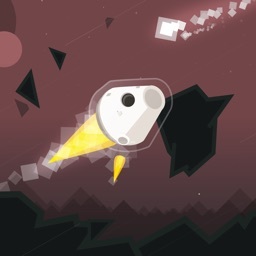 It has kingly music, spunky sound effects, and colorful visuals. 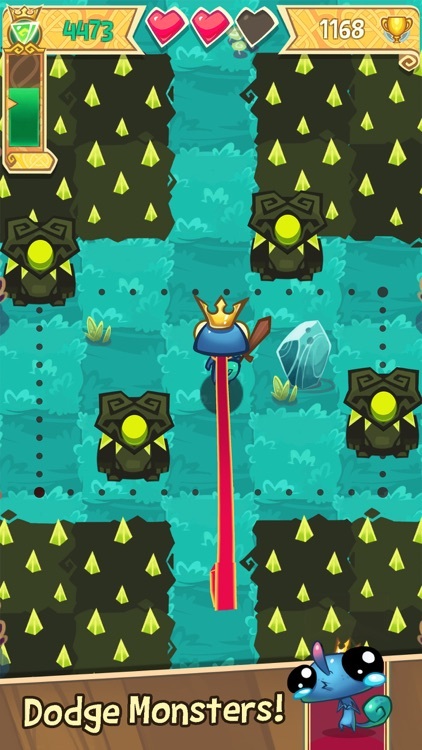 Road to be King is a wonderful adventure from Noodlecake Studios Inc. that will both challenge and entertain you. 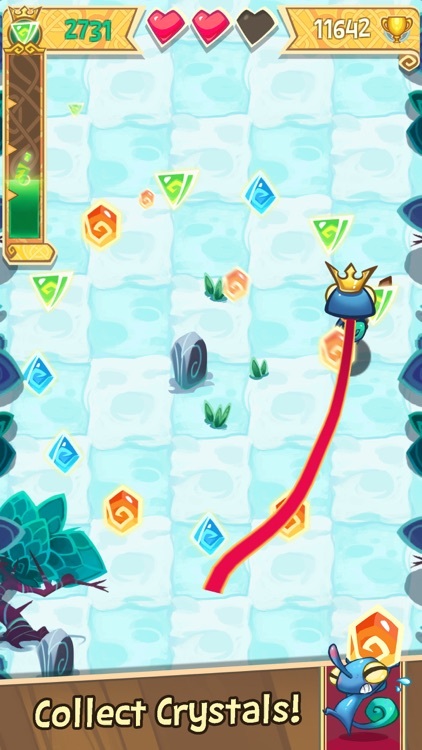 As your king continues to stroll about the kingdom, you must pick up valuables while avoiding obstacles and enemies. 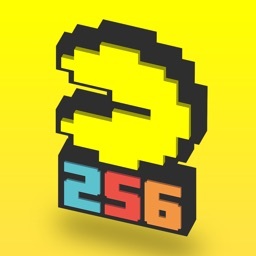 Hold your finger down and guide your character towards a royally high score. 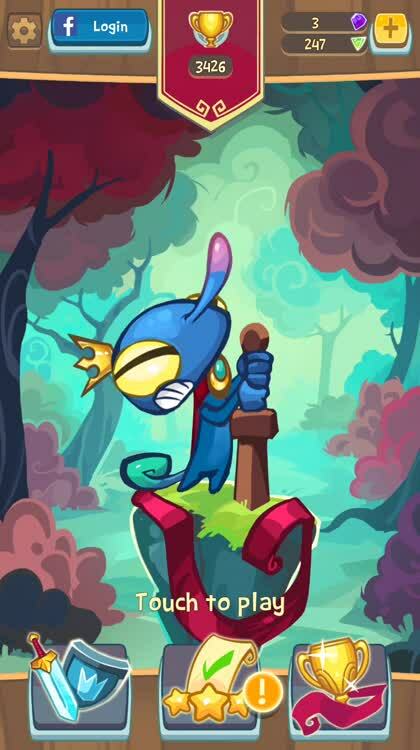 Get ready to explore your kingdom in this epic adventure game! Hold your finger on your screen and dodge hordes of foul creatures and dangerous traps. Go as far as you can to set your highest score and compete against friends. Collect crystals to buy and upgrade special items that will help you along the way. 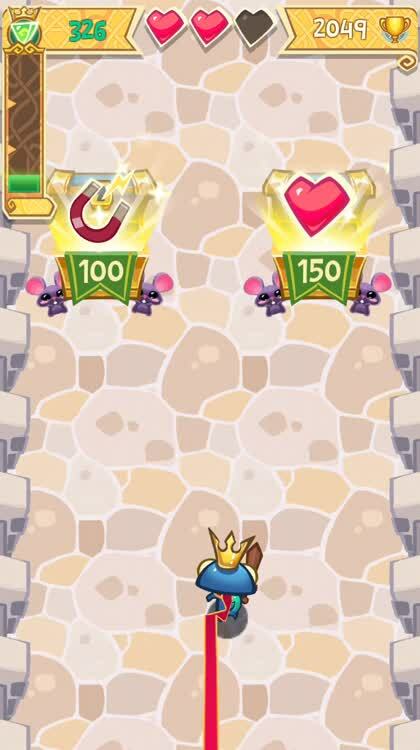 You can also pick up special power ups to becoming even more powerful. How long will your adventure be? 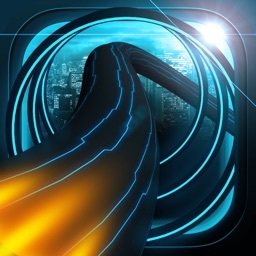 - Challenge your friends on Facebook and beat their score!